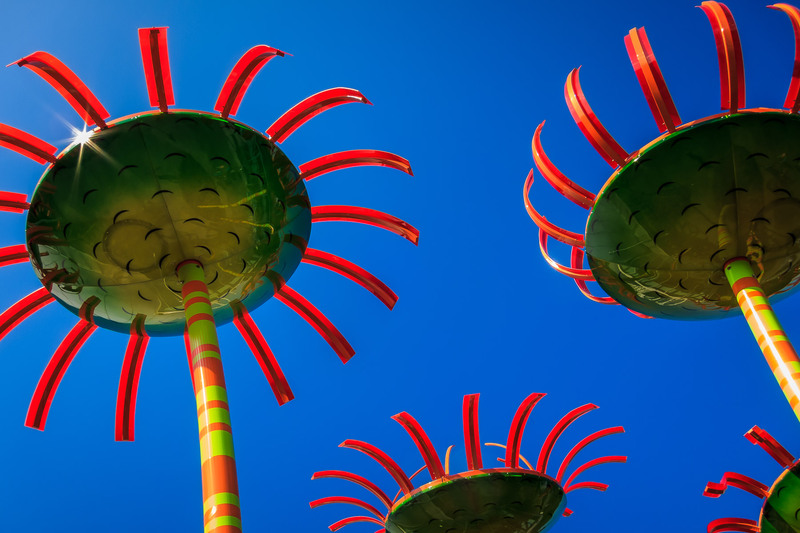 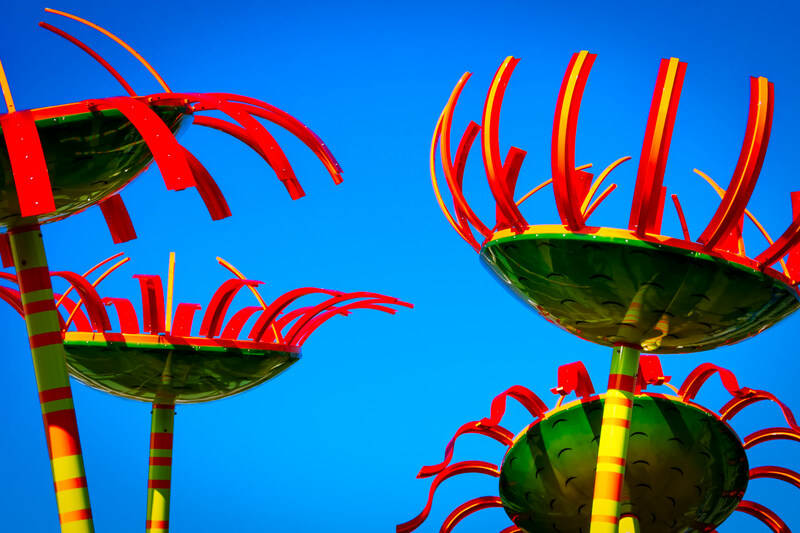 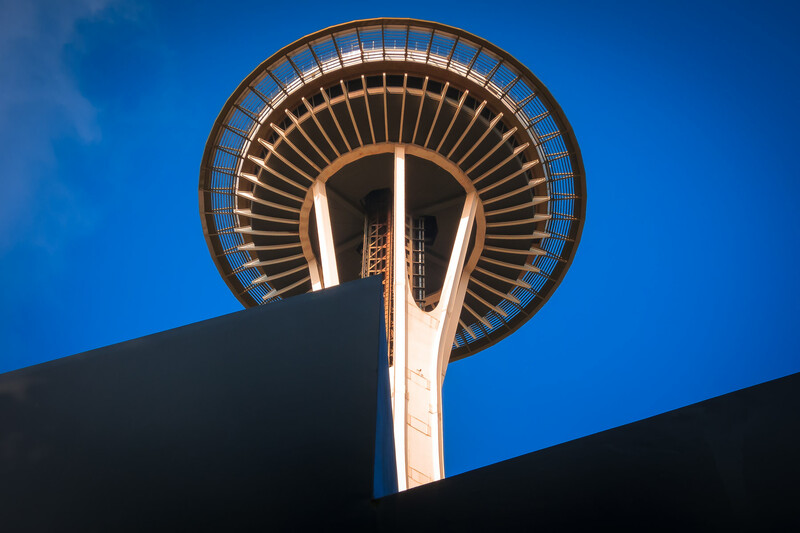 The Seattle Space Needle towers over the Seattle Center and the surrounding Lower Queen Anne neighborhood. 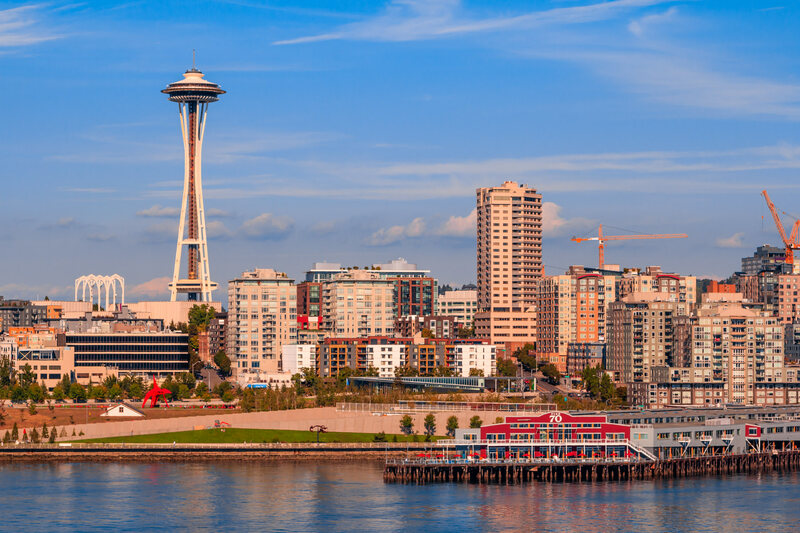 The iconic Space Needle rises into the clear blue sky over Seattle. 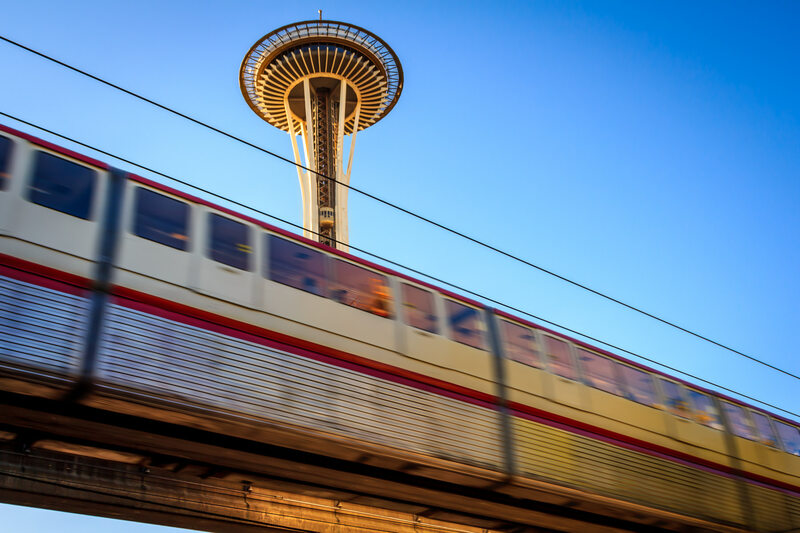 The Seattle Monorail speeds past the Space Needle on its route from the Seattle Center to the Westlake Center. 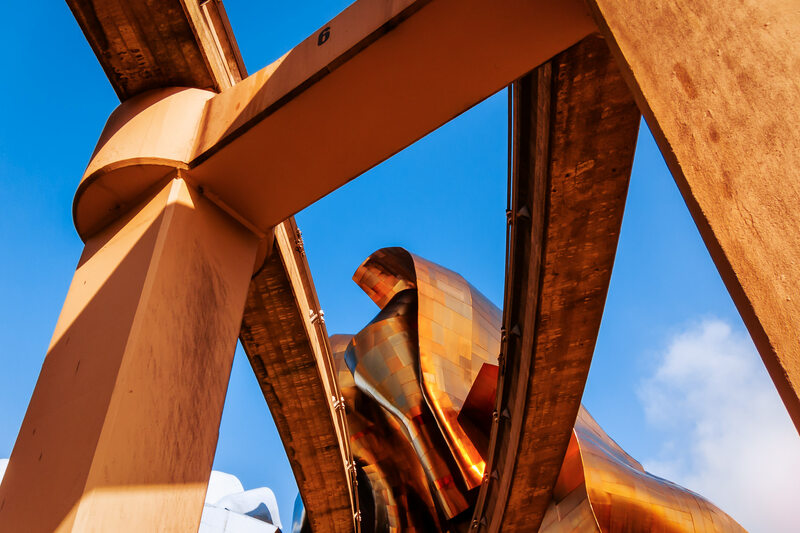 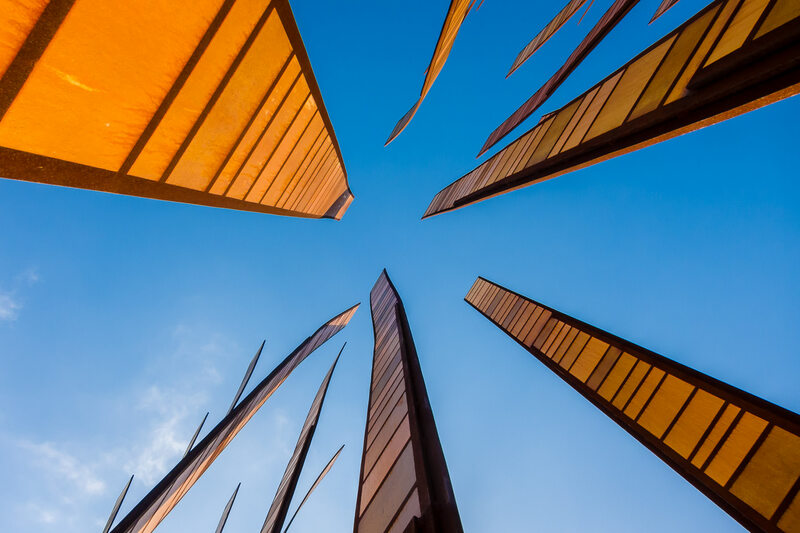 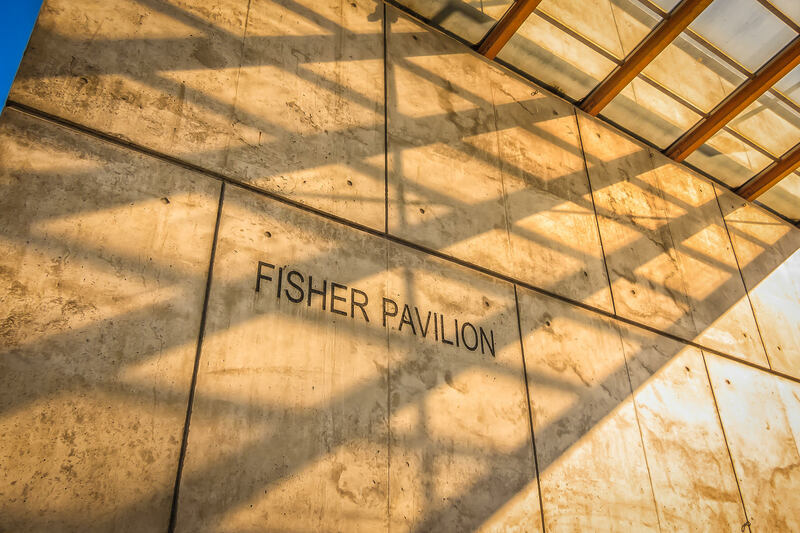 The morning sun throws shadows over the engraved name of the Fisher Pavilion at the Seattle Center.